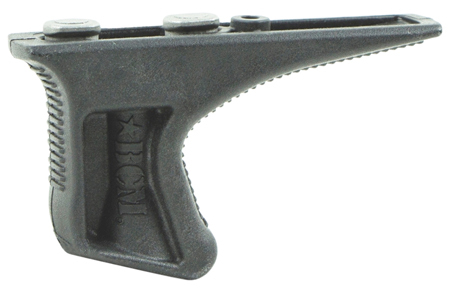 The Angled Kinesthetic Angled Grip (KAG) is designed to complement modern shooting grips. It uses a biomechanically efficient forward rake to create an interface for positive retention and joint relief to the wrist, elbow, and shoulder, allowing for smooth weapon manipulation without substantial increase to the girth of the weapon system. It's small profile is just enough to get repeatable hand position on weapon forend and works as a rest for supported firing positions.